River View is a formerly private 146-acre parcel jointly purchased in 2011 by the City of Portland Parks & Recreation bureau, the Bureau of Environmental Services, the Trust for Public Land, and Metro. The land was previously owned by River View Cemetery. While people have been riding bikes and hiking on the property for decades, that use was illegal but not often enforced. 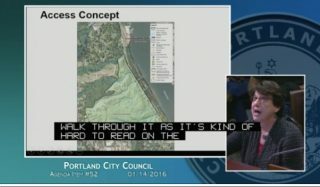 The City of Portland is now leading an effort to re-develop the land and make it a nature area and public park. River View was the site of a big protest after cycling was banned in 2015. 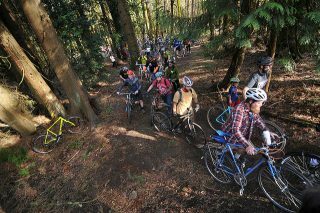 Portland’s Off-road Cycling Master Plan got a shot in the arm today from an influential city advisory committee. The Portland Parks Board expressed strong support for the plan in a letter to Bureau of Planning and Sustainability Project Manager Tom Armstrong. The letter clears the way for Portland City Council to approve the plan — and to push back against those who are using false narratives to oppose it. The Parks Board has dismissed two of the main talking points of people trying to stop the plan: That that off-road cycling is incompatible with nature and that it can’t be done safely in an urban environment. The letter (PDF), dated April 11th, comes after the Board received hundreds of public comments and hosted a special meeting on the plan earlier this month. 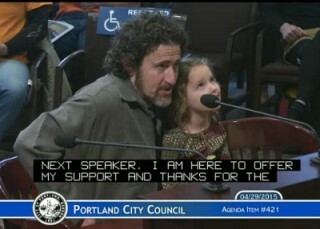 the plan at City Council yesterday. 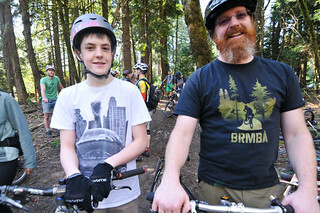 In the past decade there have been a handful of key moments on Portland’s mountain biking timeline. Yesterday’s city council meeting was one of the biggest. The River View Natural Area Management Plan passed 4-0 (Commissioner Dan Saltzman was absent) with an amendment that keeps open the possibility of bicycle access in the future. On paper, that’s far from what many off-road cycling advocates wanted. In repeated testimony at the hearing, they urged council to delay the plan’s passage until after the city completes its Off-road Cycling Master Plan. Their concerns were that if it the plan gets adopted it would set in stone barriers to bike access: a limiting trail alignment and an “interim prohibited” status for cycling. Map of the trail alignment in the River View Management Plan. Cycling advocates say if this trail alignment is adopted by City Council tomorrow the chances for bicycle access in the future are doomed. The Northwest Trail Alliance, a non-profit devoted to improving off-road cycling access in the Portland region, is urging its members to attend this Thursday’s City Council meeting. The group is concerned that if the Portland Parks & Recreation Bureau passes the River View Natural Area Management Plan in its current form, there will be no future for bicycle access in the 146-acre parcel. You can tell when we’re on the cusp of possible progress for off-road cycling in Portland because the misinformation campaign by someone dedicated to stopping it has begun. Hopefully, our policymakers and elected leaders won’t listen this time. 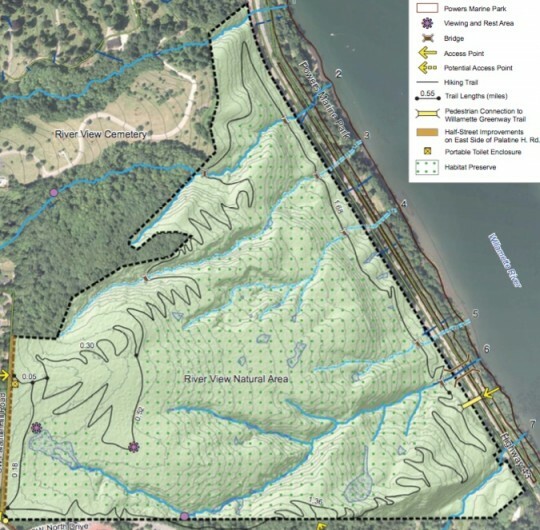 With a city council meeting this Thursday to adopt management plan for the River View Natural Area, a guest opinion article published by The Oregonian is full of scare tactics and farcical conspiracy theories. 2016 is starting off with a bang for off-road trail riding in Portland. Two major plans — one that could bring bike access to the River View Natural Area and the other that develop a blueprint for off-road bike access in parks and other spaces throughout the city — are both moving forward in significant ways. Back in November we shared some of the uncertainty that looms over a management plan for the Portland Parks Bureau’s River View Natural Area. That plan was controversial and spurred a legal action by off-road cycling advocacy group Northwest Trail Alliance. The River View plan was set for City Council adoption last month, but the hearing was rescheduled. Now it’s set for next Thursday January 14th at 2:00 pm. 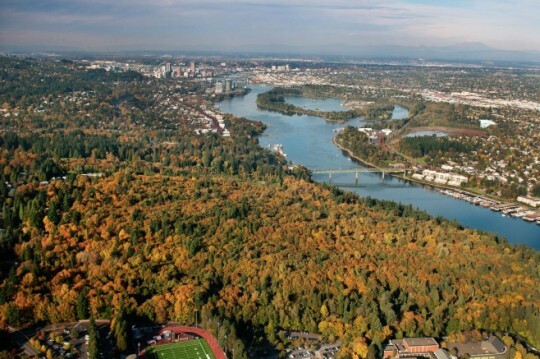 The River View parcel (foreground) is very close to downtown Portland and its trails are in demand. 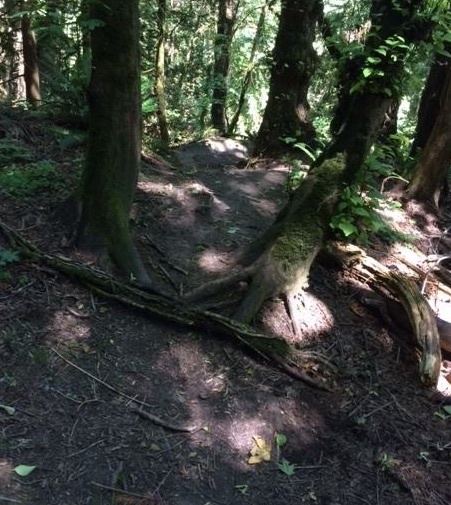 The Portland parks bureau has released its final management plan for the River View Natural Area and they’ve left the door cracked open — ever so slightly — for the possibility of off-road cycling access in the future. However, because the city’s process prevented a robust discussion of all potential trail uses, the plan is full of uncertainty. If it’s adopted by City Council as scheduled in mid-December it could have the unintended consequence of making it harder to allow cycling even if the city’s own planning process deems it appropriate at a later date. the process for the city. 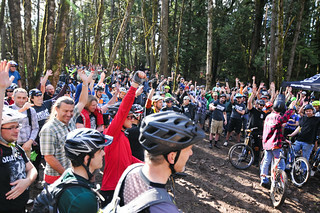 A year after hundreds of people attended a rally in support of in-town mountain biking trails, the City of Portland is starting its project to decide where such trails should go. 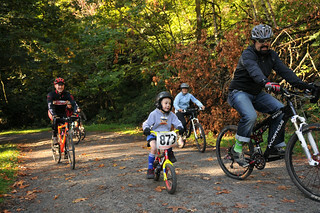 In an interview last week, Kunec-North added that off-road cycling options in Portland would also help build a generation of stewards of the city’s natural areas and boost the local tourism and bike economies. Natural Area sparked large protests. The Oregon Land Use Board of Appeals has dismissed a case that sought to reverse a decision to prohibit bicycling at River View Natural Area. 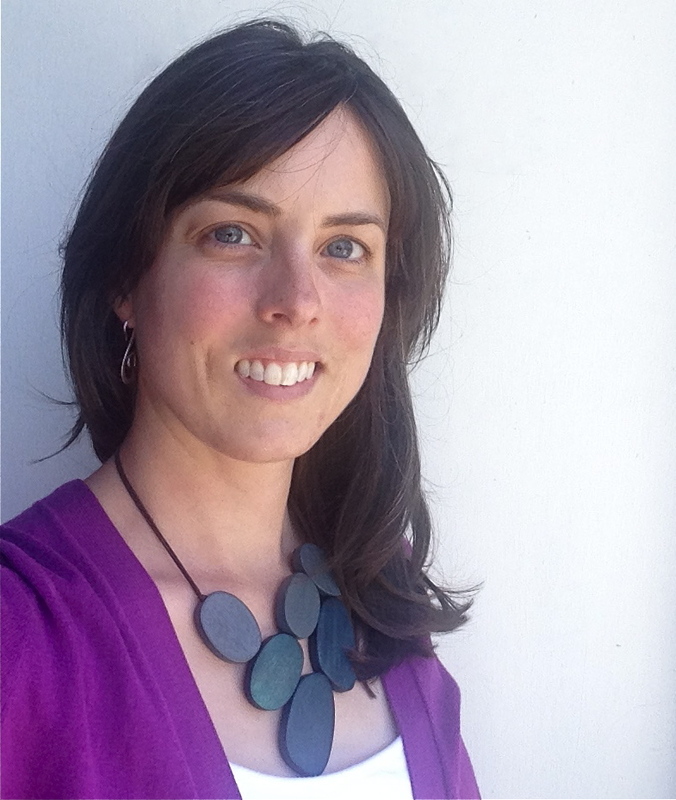 The case was filed back in March by the Portland-based non-profit Northwest Trail Alliance. A few minutes ago at their weekly meeting, Portland City Council voted in favor of a motion to fund the Off-Road Cycling Master Plan. 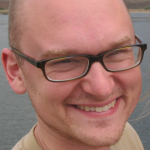 During a discussion of an agenda item about the City’s Spring Budget Monitoring Process — known as the “spring bump”, Mayor Charlie Hales put forth a motion to split the plan’s $350,000 price tag between the Portland Parks & Recreation Bureau and the Bureau of Planning & Sustainability. The mayor’s proposal uses $50,000 from Parks’ budget and $300,000 from BPS. The motion was passed with Commissioners Saltzman and Amanda Fritz both voting in support (Commissioners Nick Fish and Steve Novick are out of town and were not present). With Fritz on board, all five commissioners are in support of the plan is it’s ultimate passage is all but assured when Council votes on the budget adjustments sometime in the next few weeks.